Common misunderstandings surround their name origin, removal reasons and pain sources. Wisdom teeth, also known as third molars, are the last teeth to grow in the back of the mouth. Common misunderstandings surround their name origin, removal reasons and pain sources, according to the Academy of General Dentistry, an organization of general dentists dedicated to continuing education. 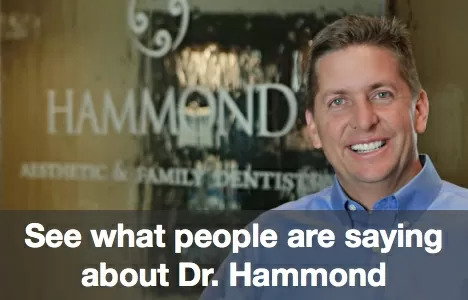 “The name ‘wisdom teeth’ is age related – third molars don’t erupt until teenage years and beyond, when people theoretically are more wise to the world,” says Trey Petty, DDS, FAGD, spokesperson for the Academy of General Dentistry. Common reasons for wisdom teeth removal include impaction, pain and crowding of the other teeth, which are typical tooth growth characteristics. “If wisdom teeth are not visible, they are impacted or unable to erupt due to space and size limitations,” says Dr. Petty. “Impacted teeth don’t have enough room to grow, and will lay beneath the gums, which may or may not be a problem.” Pain and tooth crowding are also top wisdom teeth problems. “Adults have forgotten what normal pain from a growing tooth feels like,” says Dr. Petty. Complications also can arise when wisdom teeth partially erupt. The broken gum acts as a breeding ground for bacteria and germs. “When wisdom teeth partially erupt, food gets caught in the gums and may cause an infection, swelling, growth of a tumor or cyst and pain,” says Dr. Petty. “If this happens, consult a dentist before problems worsen and affect overall oral health.” “If wisdom teeth have erupted, the key to preserving them is maintaining good oral health by brushing twice a day and going to see a dentist twice a year,” says Dr. Petty. What is dry socket? Dry socket, the most common post-operative complication from tooth extractions, delays the normal healing process and results when the newly formed blood clot in the extraction site does not form correctly or is prematurely lost. The blood clot lays the foundation for new tissue and bone to develop over a two-month healing process. Women who take oral contraceptives are at a higher risk of developing dry socket after wisdom teeth extraction due to high levels of estrogen. Tips for preventing dry socket: Schedule extractions during the last week of the menstrual cycle, when estrogen levels are inactive Avoid drinking through a straw, the suction will interfere with healthier clotting. Avoid smoking, it can contaminate the extraction site. Avoid excessive mouth rinsing, which may interfere with blood clotting.